The Woman Lady Henrietta Maclellan longs for the romantic swirl of a London season. But as a rusticating country maiden, she has always kept her sensuous nature firmly under wraps -- until she meets Simon Darby. Simon makes her want to whisper promises late at night, exchange kisses on a balcony, receive illicit love notes. So Henrietta lets her imagination soar and writes... The Letter A very steamy love letter that becomes shockingly public. Everyone supposes that he has written it to her, but the truth hardly matters in the face of the scandal to come if they don't marry at once. But nothing has quite prepared Henrietta for the pure sensuality of... The Man Simon has vowed he will never turn himself into a fool over a woman. So, while debutantes swoon as he disdainfully strides past the lovely ladies of the ton, he ignores them all...until Henrietta. 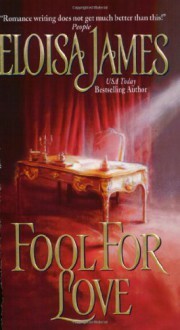 Could it be possible that he has been the foolish one all along?